In addition to having two double Board Certified attorneys, Saunders Law Group is proud to have our founding attorney AV Preeminent peer-review rated* through Martindale-Hubbell for his legal ability and ethical standards. Our attorneys, Thomas C. Saunders and K.C. Bouchillon, are passionate about providing outstanding legal services to our clients. With more than 60 years of combined legal experience, we always strive to obtain just and fair compensation for our clients. 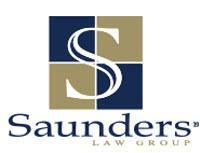 In addition to offering free initial consultations, Saunders Law Group always takes time to answer our clients' questions and keep them fully advised throughout every step of the legal process.